Zionism has numerous symbolic parallels with Hindutva as espoused by Savarkar. Much is similar between the Western Wall in Jerusalem and Ayodhya in Uttar Pradesh. 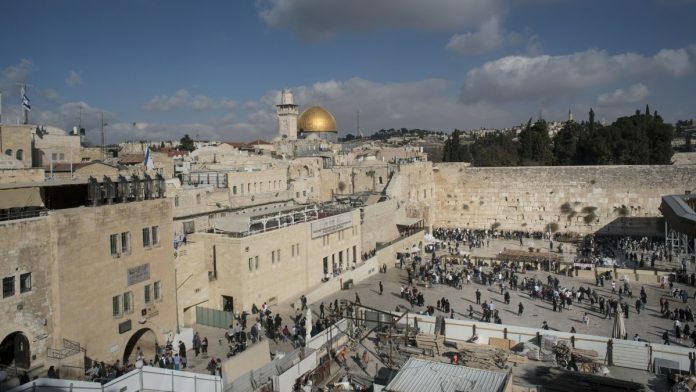 During my first visit to Israel last week, I looked at the Wailing Wall of the Old City of Jerusalem—as it is famously known—that stands testimony to centuries of mayhem, murder and massacre. As I watched devout Jews gather at this wall that originally held the Second Temple, I saw tears rolling down many a face and still others kissing the wall or placing their petitions in Hebrew at the revered site. The Temple was mercilessly burned down in the Roman invasion of 70 AD. The amalgam of faith and mourning brought to my mind fleeting images of Ayodhya, where I have witnessed many a devout Hindu shed tears upon seeing an idol of their God Ram Lalla sitting hostage-like in a barricaded, heavily-secured, makeshift tent in the holy city believed to be the site of his birth. I was part of a delegation of Indians on a visit to Israel, organised at the behest of Dana Kursh, Consulate-General of Israel in South India. The recorded history of the ‘Holy Land’ attests to the fact that the region was never quiet and peaceful. Straddling the divide between Asia and Africa, it has been the battleground for successive waves of conquerors and marauders who were anxious to control strategic trade routes. With monstrous regularity, control swung from one victor to the next, leaving the land wailing in misery. Many Indians can well empathise with the people of Jerusalem, considering our own long troubled history of witnessing invasion and destruction. As Simon Sebag Montefiore notes in his book Jerusalem: The Biography: “Jerusalem is the House of One God, the capital of two peoples, the temple of three religions and she is the only city to exist twice—in heaven and on earth.” The Abrahamic faiths propounded by Moses, Jesus and Muhammad originated here, but it is death that has been a constant companion in Jerusalem. English writer Aldous Huxley called it ‘the slaughterhouse of the religions’. This palimpsest that Jerusalem presented also instantly reminded me of our own ‘City of Light’: Varanasi. With references to it appearing in ancient Indic texts such as Rig Veda, Varanasi has not just been the holiest of cities for Hindus, it is also the cradle of Buddhism and the birthplace of four Jain tirthankaras. Though the destruction Varanasi witnessed was not as widespread as that of Jerusalem and its Holy Temple, its Vishwanath temple bore the brunt of Mughal emperor Aurangzeb’s army. (A Short history of Aurangzeb, by Jadunath Sarkar). After voting against the creation of Israel in 1947, India refrained from establishing full diplomatic relations with the nation until 1992. New Delhi even voted in favour of Zionism being condemned as a form of racism. But few in India understand what political Zionism as propounded by Theodor Herzl (1860-1904) really was. It defined identity in a post-Holocaust world for traumatised Jews and has numerous symbolic parallels with Hindutva as espoused by Vinayak Damodar Savarkar. For the Jews—scattered across the world and exiled from their land for over 18 centuries—ethnic nationalism in the form of Zionism was a powerful pivot. Close to home, Savarkar had bemoaned the systematic collapse of Hindu supremacy, starting from the Battles of Tarain (1191-1192) until the end of the British occupation. It led to a cultural—rather than geographical—dispossession. The non-theological, political tool of Hindutva was the adhesive that could seamlessly weld Indic communities—and bring about political and cultural unity. On ‘moral as well as political grounds’, he asserted, India must support a Jewish state. Little wonder then that we see a resurrection of India-Israel ties under Prime Minister Narendra Modi. As Israeli newspaper Haaretz put it: “Relations between Israel and India tend to grow stronger when…India experiences a rightward shift…in leadership”. Interestingly, contrary to misgivings about the two philosophies, both Zionism and Hindutva believe in pluralism and peaceful co-existence on equal terms with minorities. Neither Herzl nor Savarkar advocated the dispossession of the civil and political rights of minority communities. Herzl is rightly revered as a national hero with his remains interred at the Mount of Herzl in Jerusalem. But Savarkar remains a reviled and controversial figure in India even today, 15 years after his portrait was hung in the central hall of Parliament. There is a new momentum in the India-Israel relationship following Prime Minister Narendra Modi’s 2017 visit to the country—the first ever by an Indian premier. The personal rapport that Modi built with his counterpart Benjamin Netanyahu has deepened India’s engagement in areas such as technology, agriculture, biotechnology, entrepreneurship, waste recycling, oil and natural gas and space technology, in addition to traditional defence collaborations. The warmth and love we saw for India among ordinary Israelis seemed like the ‘Version 2.0’ as it were of the affection that Soviet Russians showered on the Indian people and their Bollywood stars. It is this advantage, sans historical baggage, that can form the basis of a lasting bond between India and Israel—two historically and culturally similar nations facing similar challenges. The author is a Bengaluru-based author/historian and political analyst. Well said but we all INDIANs know the development speed of UPA era and NDA era.We elect a government so that they can do development of our country ,what matters is the speed of development. Now everyone can compare between two governments.